The medicine of the future is here now! 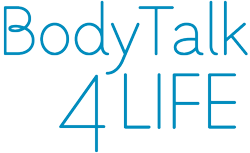 As I live in the UK I was sceptical that BodyTalk would be able to help from such a distance. However, this seems not to have been the case. I have been diagnosed with Bi-polar, borderline personality disorder and anxiety. I take conventional medicine and have had therapy. BodyTalk though seems to have cleared my anger, stress, worry, and the anger I would normally get for days after 'therapy'. I do NOT believe this is mind over matter as I often forgot when my BodyTalk distant sessions were and I am asleep when Vyara works. Yet, the sessions made a big difference. My son Lewis, aged 9, was also treated with distant BodyTalk sessions. I have 4 children but only Lewis displays extreme behaviour. Lewis had no idea that Vyara was helping him yet the difference on the days after a session was vast. Vyara, you seemed to tune in to his feelings and thoughts at the time, different in each session! Lewis has been able to calm himself, relax, sleep better, work better, and concentrate more. Amazing! Thank you so much! I really want to learn how to do BodyTalk myself. Unfortunately the UK is very behind in alternative medicines. Thank you, Vyara, look forward to having you help us again in the future. After I received BodyTalk over a couple of months, my liver function improved dramatically, my menstrual cycle became regular and my emotional state was much more balanced. I was amazed at the results and naturally I wanted my whole family to try BodyTalk. My parents however live in Europe and there is no BodyTalk offered near their home. That’s why they agreed to receive distant healing BodyTalk sessions at the BodyTalk 4 Life Clinic (which at that time was based in New Zealand). Skeptical at first, my parents gradually began to recognize the benefits of BodyTalk through long-distance healing sessions. After a few weeks, my mum’s asthma cleared considerably and constipation was no longer a problem, whereas my dad could sleep throughout the night for the first time in years. Moreover, mum and dad report feeling much closer to each other and they have no doubt BodyTalk is “responsible” for that too, as it helped them let go of much of their emotional baggage. It is simply astonishing to see that BodyTalk works from a distance! One very exciting result from my last distant BodyTalk treatment is the work you did on my cervical plexus, encompassing the larynx. I have always loved and attained great enjoyment from singing, and been a relatively good singer. For quite some time I had not been able to sing the way I used to, and this had made me feel quite sad and dull. After my last distant BodyTalk treatment, there has been a considerable change in my ability there! Pleasantly so! I am able to reach the range I once could, and I feel like my vocal cords are not cutting out on me, but rather, they are really participating! I am so excited about this! On top of that, I feel like a merging butterfly! My awareness of myself and my confidence, and my clarity of what I want to do, is the strongest I've ever felt in my life!! I can't thank you enough! After my first BodyTalk distant session my sleep improved dramatically and a few more sessions later I am able to make decisions, I have more energy and my acne cleared up. Thanks, Vyara! No one else was able to help me before! Go quantum: the logical way to natural health and wellness! Quantum physics research and modern scientific discoveries show convincingly that distant healing (also known as remote healing, distance healing or long-distance healing) is just as effective as face-to-face treatments in achieving holistic health and wellness for the mind and body. Quantum physicists have argued for the existence of the zero point field through which we are all connected and this connection is independent of time and space. This important finding gives scientific credibility to distant healing. You can think of distant healing as wireless technology - it works in ways similar to cell phones and the Internet. The effect of distant healing can be measured through the so called Polycontrast Interference Photography (PIP), a devise developed by Dr Thornton Streeter DSc. CEO CBS. 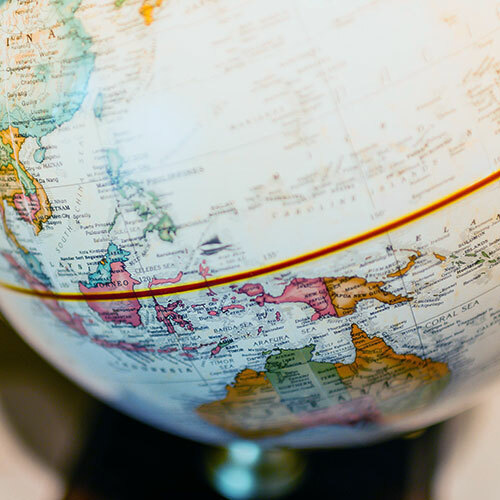 PIP is now used worldwide for validating various alternative therapies. It highlights areas of well-being and disease with clear patterns and colours. Clinical data from trials in which the PIP technique was used to measure the level of healing obtained during distant healing sessions showed remarkable measurable difference between the Before and After pictures. In one of those trials the patient was in India and the practitioner was in Sweden. PIP indicated that the patient responded instantly to the remote healing treatment, and areas highlighted as blocked/diseased before the treatment cleared immediately after the treatment. In another trial, distant BodyTalk sessions were sent from Colorado, USA, to subjects at the Center for Biofield Science in Pune, India. In this experiment (conducted by Thornton Streeter DSc., Dr.Ravi Pryag, Dr. Vaibhav Lunkad, MBBS, Don Ka'imi Pilipovich, DAc, LMT, and Shivali Dandekar), the biofield scans reported noticeable changes in the biofield of ALL experimental subjects while the BodyTalk distant healing was being performed. How does the client receive distant BodyTalk sessions? If you are interested in Group BodyTalk sessions, you can read more about Group Healing here. For BodyTalk Access sessions, send us your name, DOB and a photo of yourself. We will do the session as soon as we receive the information and confirm by email when the session is done. For BodyTalk Regular sessions and for BodyTalk Matrix sessions, we require the client to complete a medical history form and send a recent photograph. Then we set up a time for the session. The client may choose to go about their day, to go to sleep, or to connect via Skype during the session. Whether there is a Skype connection or not, the client may experience different sensations in their body while the healing work is being done. If they are asleep, certain aspects of the treatment may come up in their dreams. After the session is completed and if there was no Skype connection, the client will receive an email report detailing what was targeted during the healing. How does the practitioner send distant BodyTalk sessions? 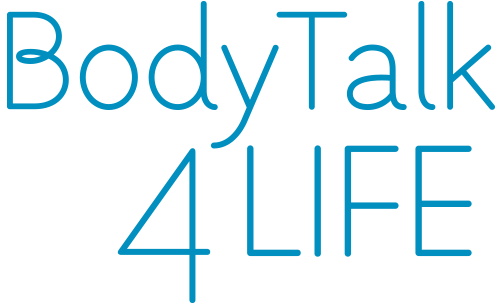 Normally, in a BodyTalk session (except in BodyTalk Access) investigation is done through muscle testing to determine what aspects of the client’s bodymind need to be balanced and in what order of priority. During in-person sessions, the muscle testing is done on the client. During distant sessions, the practitioner does the muscle testing on herself asking questions about the physical and mental health of the client. Tapping over the client’s head, heart complex and over the gut is at the heart of each BodyTalk balancing procedure. Tapping creates changes in various electromagnetic fields of the bodymind, which in turn leads to changes on a cellular level and enables the healing process. During in-person sessions the tapping is done by the practitioner directly onto the client. During distant sessions, tapping is done either by the client (if there is a real time Skype connection) or it is sent out into the quantum field by the practitioner and it “finds” the client by way of specific focusing. Our practitioner Vyara Bridgeman is trained in MindScape – a set of techniques that allows the brain waves to slow down and go into an Alpha state. In this state the intuition is extremely heightened and all information that exists becomes readily accessible. This is a state where quantum entanglement (i.e. the interconnectedness between everything that exists) becomes more tangible, so it is easy for the practitioner to work on the client from a distance tapping out all the balances required as if the client was right there in-person. Thousands of people nowadays choose to have distant BodyTalk sessions, either because the practitioner they like does not live in their area, or simply because it saves time. At the BodyTalk 4 Life Clinic for Distant Healing, we have clients from USA, South America, Europe, Australia, New Zealand and Asia. Our advanced BodyTalk practitioner Vyara Bridgeman is currently based in several countries in Europe and has many years of professional experience with distant BodyTalk healing. All distant clients have been reporting remarkable improvement in their physical and mental health and wellness as a result of their distant BodyTalk treatments.